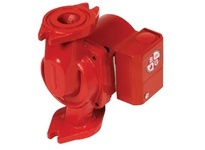 Series NRF cast iron pumps are small, reliable, in-line circulator pumps intended to pump water through closed loop systems for heating and cooling in residential and light commercial settings. The Series NRF features a maintenance-free system, with a self-cleaning particle shield protects the shaft and bearings from system start-up debris. The unique DuraGlide bearing system also contributes to trouble-free start-ups. A powerful Red Fox motor offers high starting torque, ensuring consistent start-up season after season. The Series NRF's stabilized heat-resistant, non-metallic impeller with a closed design improves overall operating efficiency. Mounting hardware and flange gaskets are included with the pump. 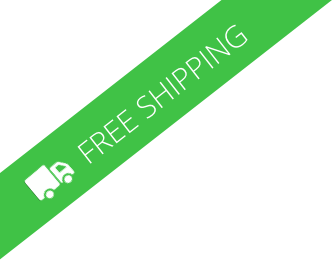 Flanges are available separately in 3/4", 1", 1-1/4", and 1-1/2". Note: This Pump Is Not Suitable For Domestic (Potable) Water Applications. For Domestic (Potable) Water Applications See NBF-22 (103252). A residential or light commercial, maintenance free, axial flanged, in-line, cast iron, wet rotor, circulation pump for hydronic heating systems. The NRF-22 features system liquid lubricated bearings, non-overloading permanent split capacitor motor with impedance protection and quiet operation. This pump may be used for water circulating applications in hydronic and solar systems.